As the Amernet data center operator to achieve SSAE 16 Type II certification for both our California data center and Las Vegas data center, we can verify we provide a highly secure and compliant hosting environment. SSAE 16 has replaced the original standard – SAS 70. If you need a data center partner that has the most current certifications to satisfy national compliance requirements, Online Tech can provide the security your company needs. Take advantage of our audit status and apply it to your own hosted applications or data. A SSAE 16 audit measures the controls related to financial record keeping and reporting, the same as a SOC 2 report. and many more. Companies should feel confident when partnering with Amernet to manage their Microsoft environment because Microsoft has partnered and certified Amernet on Microsoft technologies. Amernet provides and/or resell hosted software services to end-user customers leveraging NVIDIA GPU cloud accelerated solutions for DaaS, SaaS, and IaaS. PCoIP technology compresses, encrypts and rapidly transports pixels to end-user devices. PCoIP technology uses advanced display compression to provide end users with cloud-based virtual machines as a convenient alternative to local computers. This virtual workspace architecture compresses, encrypts and transmits only pixels to a broad range of software clients, mobile clients and stateless PCoIP Zero Clients, providing a highly secure enterprise environment. 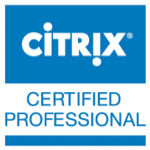 The Citrix Certified Professional – Virtualization (CCP-V) credential validates the skills that experienced IT solution builders, such as engineers and consultants, need to install, configure and roll out common XenDesktop 7 solutions. Citrix delivers dynamic virtualization solutions from the data center to the desktop, which frees both IT and users from traditional computing. With virtual computing, IT has the power to manage desktops, applications, servers and data. Users are free to work securely and productively anywhere, anytime, from any device. Amernet’ Virtualization Practice is built upon the leading virtualization technology, VMware. We are proud to be among the elite group of VMware partners to hold the VAC designation and are recognized experts at deploying VMware’s entire range of innovative software solutions, including Lab Manager, vSphere and Virtual Desktop Infrastructure. 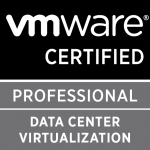 As a VMware VAC Partner, our clients benefit from our access to VMware’s best practices and our ability to offer comprehensive Virtualization Assessments utilizing VMware’s Capacity Planner. 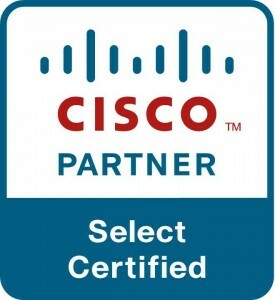 The Cisco consultants at Amernet Professional Services includes seasoned Cisco Certified Network Associates (CCNAs) and Cisco Certified Security Professionals (CCSPs) whom are experts in Cisco Router/Switch setup, configuration and management. As a leading Cisco Consulting Firm with Cisco Select Certification, our consultants are experienced in implementing, configuring and troubleshooting Cisco networking devices. Amernet Professional Services’ certified Cisco consultant possess extensive experience in troubleshooting and solving all manner of difficult and challenging router and network related problems. 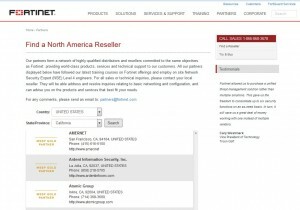 Fortinet products include the Fortigate Firewall and a flexible, high performance IPsec and SSL VPN to provide secure communication between multiple networks. These can be combined with one or more antivirus, anti-spam, traffic shaping and web filtering solutions to complement legacy systems, making them extremely flexible. Fortinet’s enterprise-level unified threat management (UTM) solutions are complemented by network management systems and analysis tools as well as advanced email, database and endpoint security products. Polycom has a range of communication systems which utilise the latest technology to provide fast, reliable communication, regardless of location. Polycom video conferencing equipment allows businesses to connect and collaborate from their desks, making meetings and discussions easier, more efficient and more engaging. Experience a whole new method of video conferencing with Polycom equipment. Polycom Zero Touch Provisioning enables us to configure your Polycom handset to automatically update to the firmware version of you choice when first connected to your network. 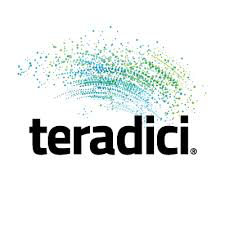 2015 INTERNET TELEPHONY Product of the Year Award. Yealink offers a full range of video, audio and collaboration unified communication terminal solutions. These products are designed to integrate easily with different server platforms in various market segments worldwide and are suitable for use in any communication environment. Yealink delivers state-of-the-art UC&C terminal solutions characterized by high quality, rich features, an excellent user experience, easy deployment and optimal cost performance. These solutions help enterprises to increase communication efficiency and to reduce communication costs. AudioCodes is a market leader with over 19 years of product development experience, focused on VoIP network products and technology. During this time, AudioCodes has deployed tens of millions of media gateway and media server channels in over 100 countries. AudioCodes is a VoIP technology leader focused on voice quality and best-of-breed VoIP network elements with a proven track record in product and network interoperability with industry leaders in the Service Provider and Enterprise space. AudioCodes’ products and solutions include IP Phones, Session Border Controllers (SBC), Media Gateways, Multi-Service Business Routers (MSBR), Residential Gateways, Media Servers, mobile communications solutions, value added applications and professional services. AudioCodes High Definition (HD) VoIP technologies and products provide enhanced intelligibility and a better end user communication experience in emerging voice communications. 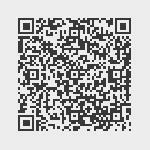 throughput data channels. Truffle ™ Broadband Bonding Network Appliance (BBNA) can be installed at the main-office/datacenter and at a branch office. Export Connectos and AutoBites are the flagship of CaptureBites product lines. AutoBites automates the import, processing and export of document image. Fonality provides award-winning business IP telephony and communications solutions for small and medium-sized businesses. By designing their products specifically for the SMB in mind, Fonality has enabled SMBs to compete on a level playing field with reliable, scalable, and easy-to-use solutions at 40 to 80 percent less than traditional offerings. Trixbox and HUD have redefined what a company should expect from their phone system. Fonality has provided solutions to over 45,000 users in 2,000 businesses and 37 countries making over 75 million phone calls to date. Amernet is certified partner and provide many digital trunk services to customers with on-premise and hosted trixbox servers.